Say goodbye to fumbling around for your spices while you’re busy cooking dinner for your family. 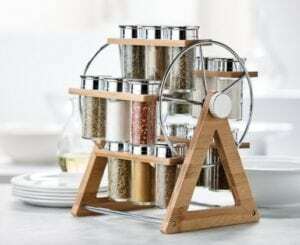 The Carousel 15-Spice Rotating Bamboo Rack from Stokes in South Edmonton Common is the perfect way to organize your spices. The best part? It comes with 15 glass jars filled with different spices so you’re all set to give those taste buds a kick! Turn your little one into a dino with Dino Baby’s First Photo Set from Hallmark in South Edmonton Common. 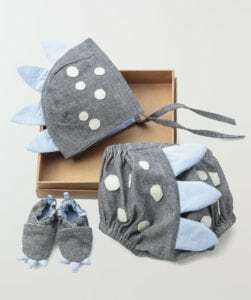 The set features a soft cotton pixie cap with dino spikes, a pair of spotted shorties, and baby booties with cotton poly claws. This set is definitely Instagram-ready! 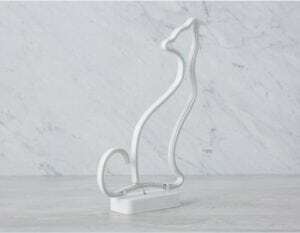 Cat lovers, this one’s for you. Accentuate your desk or nightstand with the KAT LED lamp from Structube in South Edmonton Common, providing sharp illumination. Now that’s what we call puuuuuurrfect. Functional, stylish, and practical. 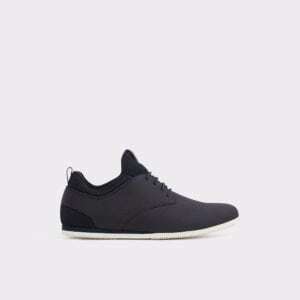 The Preilia for men is a sneaker that combines both street sport style with performance aesthetic. Stop by Aldo in South Edmonton Common to try a pair on, and you won’t believe how well they look.